The 30 Day Delegation Challenge - Bellrock Benchmarking Inc.
December 23rd, 2011 Tara Landes & Accountability, Leadership. Leverage effectively multiplies the time at their disposal by better accessing the people that report to them. For personal time, there are many techniques for leverage: time management, prioritization, and focus (check out the Pomodoro Technique for a quick tip that can change your life, productivity-wise). Is it possible to delegate more? 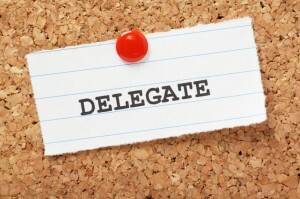 Is it possible to delegate more effectively? The real roadblock here is to overcome the low value many put on their own time. “I know other presidents delegate collections calls, but I believe my customers wouldn’t accept that. And, besides, it’s only a couple of hours a week.” Those are valuable hours! First, there is the value of your time. More important, is the value of the alternative activity. To change you mindset, you need to place a higher value on those tasks only you can do. A collection call can be delegated whereas strategic planning, attending your child’s concert, or going to the gym cannot. Desire isn’t everything, but it sure helps. Most people make the mistake of starting with “to whom” they should delegate. The most important first step though is to determine “what” to delegate. Borrowing from the best practices of the weight loss industry, create a journal of everything you do for a week. Write down what you did, how long it took, and whether it energized you or drained you. Jot it down as you complete each task. Whether you use a paper notebook or Evernote, (of course there’s an app for that…) it’s critical to capture it all. Waiting until the end of the day to write it down will sabotage your efforts. You will almost certainly forget some of the tasks that could be delegated. When your week is complete, review what you did. 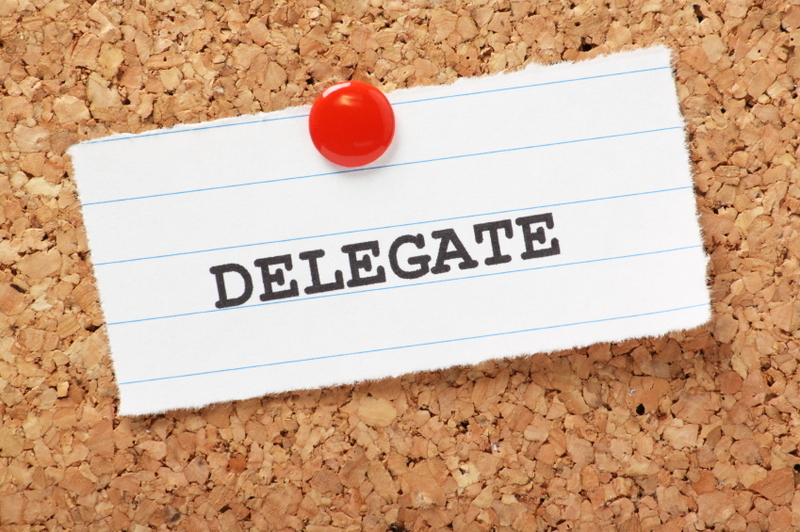 With the dual goal of a) delegating and b) improving your delegation skills, pick something small but reoccurring. It will allow you to practice and experience a quick win before you move to more challenging delegation. To read more about controlled delegation, check out this blog post. Conclusion: your 30 days starts right now! So….what if you just delegated one task a month? One task. Big or small – just one task. What would that make room for in your own life? Could you catch your child’s soccer practice? Could you call three clients to get their perspective on your company’s place in the market? Try the thirty day challenge and make more room for the things most important to you.